Flash Back Friday to some of my old halloween costumes. I had a lotta fun looking through old photos and remembering my costumes from when I was a kid. My parents bought some of our costumes, but I remember making bits & pieces of them more than anything else. Here are some of my fave childhood halloween costumes! Both of these were made by my aunt linda, which I’ve always thought is so cool. I still like to piece my costumes together & I think that’s definitely because of my homemade or semi-homemade costumes growing up. I remember LOVING this clown costume & having so much fun wearing it. Not sure what I’m doing with my hand. This is what I meant by semi-homemade. We would buy sweatpants/sweatshirts and pieces of costumes & then make the rest. For the bumblebee we bought the wings, headband & socks then added the stripes to the sweatshirt ourselves. And I couldn’t just be a black cat, so I asked my mum to make this TY tag so I could be a beanie baby black cat. My brother & I are actually wearing store-bought costumes in this one! I remember being really pleased about being a dalmatian. Kinda reminds me of the snapchat filter. My brother is dressed as Drew Bledsoe, he was the quarterback of the patriots at the time. I’m pretty sure he had a helmet with this costume as well, but I’m not positive. We always had a blast choosing what to be for halloween each year & I loved making parts of the costumes as well. People notice when you add that little extra touch, something that makes the costume your own! p.s. not pictured is the year I was darth vader for halloween & my brother was a stormtrooper. Classic. 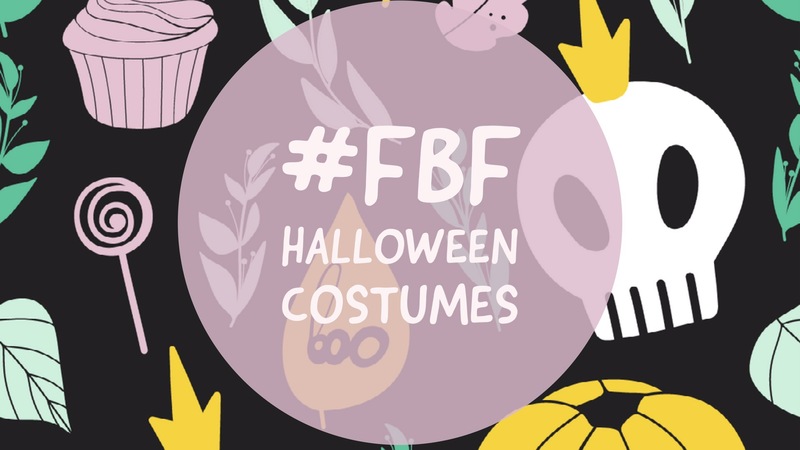 In da comments, pick a favorite, or let me know your fave childhood halloween costume! Aw these are so cute! I love your Glinda costume! That is supposed to be Glinda right?! The Good Witch from Wizard of Oz?! omg I don’t even know! I always just assumed it was a princess? I did not like wearing it 🙈 but it is pretty cute!